High School/ Matric or Equivalent + ITI/ Graduation/ Post graduation. Step 2: Now go to the career tab and hit on the “Jobs at HEC” link from the drop-down list. Step 3: On the next page hit on the “Advertisement No. RT/15/2018 dated 08.12.2018: Induction of Non-Executives Trainees” link. Step 4: Read the notification details. Step 5: Thereafter press the “Click here to apply” link. Step 7: Submit the form and take a printout of receipt for future use. 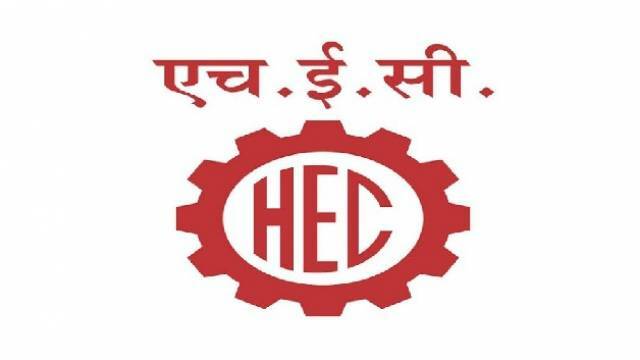 Heavy Engineering Corporation Limited, Ranchi, India (HEC) is all set to hire eligible aspirants for HEC Limited Recruitment to the post of Graduate & Technician Trainees. In total 169 vacancies are going to be filled for the said positions. Individuals ensuring the eligibility guidelines for the HEC Limited vacancy can apply by submitting the online application form in prescribed format. Graduate / Technician (Diploma) in concern Branch. Bank Demand Draft (DD) of Rs.1000 in favor of Heavy Engineering Corporation Limited payable at RANCHI. Step 2: Now go to “What's New” section and press the “Advertisement No HRD (HTI) 2018-01 Engagement of Graduate and Diploma Apprenticeship Trainees 2018-19 [Click here to apply]” link. Step 3: On the next page “Advertisement Details - Advt.No.-HRD (HTI)/2018-01” link. Step 4: A PDF file of the HEC Limited vacancies notification details will be opened in front of you, read the details. Step 5: Now hit on the “Apply Online” link. Step 6: Fill the details as per the guidelines. Step 8: Recheck the form and finally submit the form.